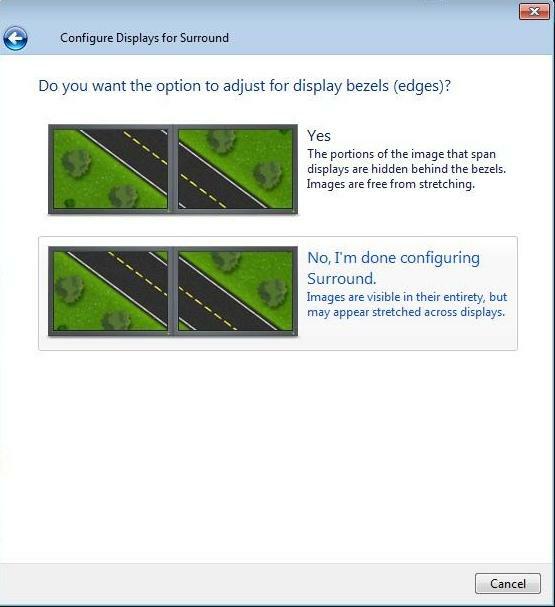 NVIDIA Home > Support Home Page > Knowledgebase Home Page > How do I enable bezel correction? How do I enable bezel correction? First, setup Bezel correction from the Surround Setup Wizard. It is the last step before completing the wizard. On the bezel correction page, adjust the width of the line in the preview page to make the onscreen image appear that it is continuous across both displays. 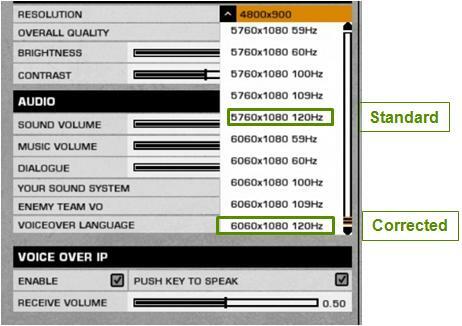 Once you have completed this step, the NVIDIA driver will add this new mode to the display resolution list. As an example, a 5760x1080 display configuraiton with 150 pixel bezel correction per display (5760+300)x1080 = 6060x1080. This is the mode you select in your games for bezel correction. Now, launch your games and select the bezel corrected mode from the in-game video settings menu. NOTE: If you run a game and select a bezel corrected resolution, quite your game, disable bezel correction from the NVIDIA Control Panel, and re-launch your game, you may experience a game or PC crash because some games are still trying to run in the previous bezel corrected resolution. 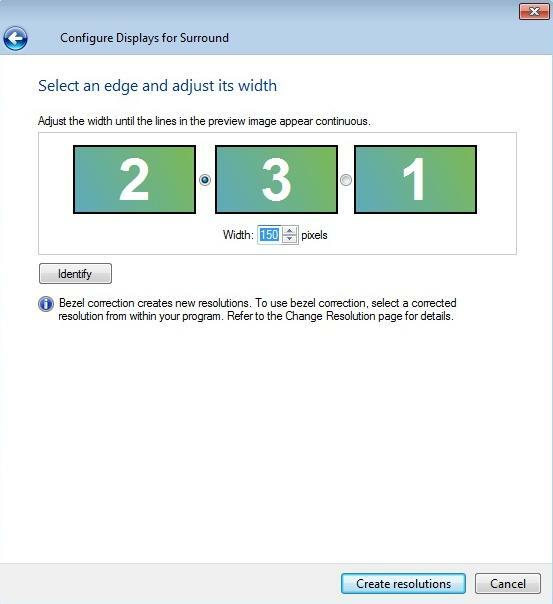 Make sure you switch your in-game resolution to a non-bezel corrected resolution before quitting and disabling bezel correction from the NVIDIA Control Panel. If you are still experiencing a crash, you may try editing your game's INI or Config file to a non-bezel corrected mode. Does 3D Vision Surround work with the "Widescreen Fixer" utility? Does 3D Vision Surround work with the “Widescreen Fixer” utility? I have enabled 3D Vision Surround and I am running in a wide mode. When I quit the game, disable Surround and try to re-launch the game it crashes. Is this a bug?